Allegan United Methodist Church is a caring dynamic community of faith where all people are invited to encounter God and to celebrate a Risen Lord. Through God’s Spirit we grow spiritually, emphasize the individual’s relationship with Christ and others, and change with and serve the needs of the community. 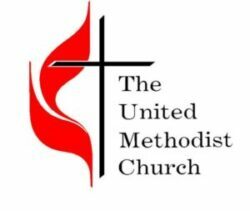 Allegan United Methodist Church committed to providing nurturing ministries within its church family and to the Allegan Community. Kids Hope USA builds life-changing relationships one at a time: One Child. One Hour. One School. One Church. The Hands of Grace Food Pantry mission is to work together to fight hunger in our community. We will strive to support and assist families in the best way we can, and to investigate additional means to increase our food supply & funds to purchase food & personal items.